Marketing often focuses on getting new customers in the pharmacy door. Of course this is critical, but you also want to retain your existing customers. By treating your “regulars” with higher level customer service and responding quickly to their issues, you can build a foundation of loyal customers. Since you often have to spend money to gain a new customer, that customer may have to make several purchases before you ever see a profit on their business. That’s why it is so important to turn new customers into regular customers. The competitive pharmacy market today requires that pharmacies make each customer feel as if they are receiving personalized care with every visit. Patients are also more confident in a pharmacy’s services when they see the business as responsive to their needs. Of course, you have to continue adding new customers, but this marketing must be balanced with relationship marketing to maintain your repeat business. If possible, it may also be helpful to estimate how much you are spending, on average, to acquire a new customer. Then, you will know how much business this customer must provide to cover that acquisition cost. Do you have a quick method for customers to contact you when they have problems – before they take their business elsewhere? Customers should have an easy way to reach a business if they have an issue, and the business should have a strategy in place to immediately handle dissatisfaction. You might even want to provide a secondary option for customers to provide feedback anonymously, because some customers may be hesitant to speak up. Instead, they might just move on to another pharmacy. Starting a loyalty program does take time and energy, but there is a reason so many retail stores offer them today. The programs offer insight into your most devoted customers’ buying habits and demographics. 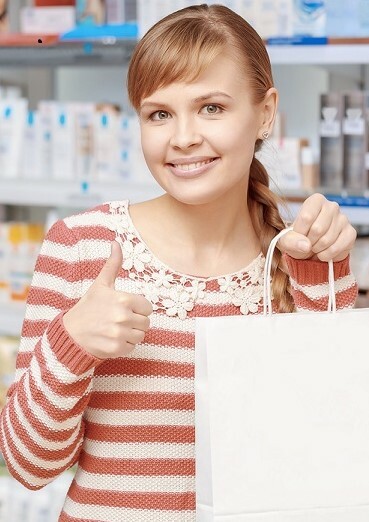 If you have an existing program, make sure it features a unique reward that distinguishes you from other pharmacies. Remember, a simple loyalty program is just a way to reward customers for their regular business. You may need outside technological assistance to establish a digital loyalty program that tracks customer purchases and offers accurate measurements of your program’s return on investment. In a busy pharmacy, staff member training may be sporadic or reserved solely for new employees. However, training can keep employees motivated and ready to serve customers. Plus, when new methods or technologies are adopted to increase efficiency, staff will be more comfortable if they receive instruction that prepares them for the changes ahead. Regular training, team meetings and employee reviews are tools for a smooth-running pharmacy that supports customer retention. If you are filling all of a patient’s prescriptions and encouraging this customer’s compliance, you are performing a valuable role. Make sure customers know you are available to offer guidance and support to ensure they are safely taking their medications, as you maintain the vital records regarding their data. Simple services, like refill reminders, encourage retention. Also, remind your current customers of the qualities that set you apart from the other pharmacies in the area, whether that is involvement in the community, being in business for 20 years, or your compounding services. Gallup’s Honesty/Ethics in Professions ratings (Dec., 2016) revealed that 67 percent of the Americans surveyed rated the honesty and ethical standards of pharmacists as high or very high. In the poll, only nurses ranked higher among the professions listed in the survey. This means your customers trust you to assist them with their medications. They look to your knowledge and professionalism. Adding that personal touch to every customer contact reinforces your role as a trusted provider who is meeting their healthcare needs. Establish goals for acquiring new customers and retaining existing ones. Once you’ve set these objectives, determine how you will track the results of your efforts. Also assess if your business relationships are supporting these specific goals, or if you need to make some changes for a more successful future. Real Value RX is here to help all types of pharmacies and healthcare facilities succeed by providing the generics they need. If you have any questions about our quality pharmaceutical distribution services, contact us today.